Though this may sound as marketing tactics, but this has fueled a crisis for new innovations in car products and new technology. 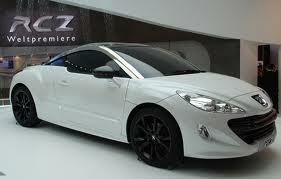 PEUGEOT RCZ: French car manufacturer Peugeot has developed a car, Peugeot RCZ , that changes the car body color as per the mood of the driver. The specialized paint used is called as psycho-chromatic coating or mood paint. The new Peugeot RCZ uses the heat sensors integrated technology that reads the body temperature, pulse rate and heart rate of the driver via the steering wheel. This sensor technology is already used in tread mills. The specialized paint alters the molecular structure of the paint and triggers to emit light at different wave length with respect to the mood of the driver and that changes the color of the car. FUEL-CELL: Another new technology that has been developed by Japan Car Manufacturer uses human sewage as fuel. Today when petrol and diesel are getting costlier, this new technology could be a great gift and eco-friendly. The process in fuel-cell model involves by generating methane gas from sludge. 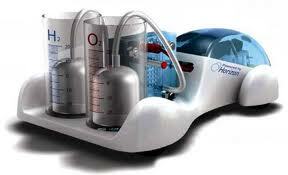 Methane gas is then reheated to produce hydrogen gas that powers the vehicle. This technology cuts carbon emissions by 75% and environment friendly. Fuel-cell vehicles may one day become a zero emission vehicle on comparison with electrical vehicles that depends on electricity often powered by fossil fuels. Bottle-neck in this new technology is water, because water is the by-product that comes out of the exhaust pipe. One more hurdle is the development of infrastructure needed for refueling process. Top Car Manufactures are Toyota, Honda, Benz, Nissan are funding and working on this fuel-cell projects.